TERMS AND CONDITIONS APPLY. Valid at Skyzone Kitchener only. Offer subject to change. Cannot be combined with other offers. Deposits, refunds and cancellation policies apply. Taxes not included. Skysocks are sold seperately. 30-Day passes are valid 30 days from date of first use. Pass holder can redeem 1 free 90 minute pass per day. Passes are non transferrable and cannot be redeemed for cash and valid for walk ins only and are subject to availability. Available during open jump only. Not valid for Skyfit or Toddler Time. TERMS AND CONDITIONS APPLY. Valid at Skyzone Kitchener only. Offer subject to change. Cannot be combined with other offers. Deposits, refunds and cancellation policies apply. Taxes not included. Skysocks are sold seperately. 30-Day passes are valid 30 days from date of first use. Pass holder can redeem for 1 free stoddler time jump per toddler time session. Passes are non transferrable and cannot be redeemed for cash and valid for walk ins only and are subject to availability. Available for toddler time only. Not valid for Open Jump, GLOW or Sky Fit. TERMS AND CONDITIONS APPLY. Valid at Skyzone Kitchener only. Offer subject to change. Cannot be combined with other offers. Deposits, refunds and cancellation policies apply. Taxes not included. Skysocks are sold seperately. 30-Day passes are valid 30 days from date of first use. 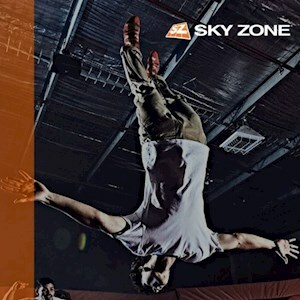 Pass holder can redeem for 1 free sky fit session per sky fit class. Passes are non transferrable and cannot be redeemed for cash and valid for walk ins only and are subject to availability. Available for sky fit only. Not valid for Open Jump, GLOW or Toddler Time.